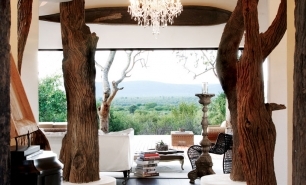 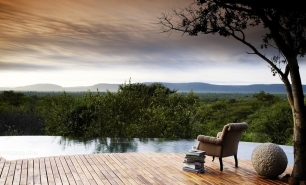 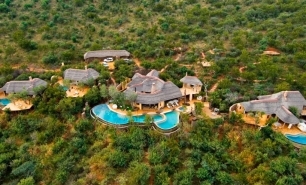 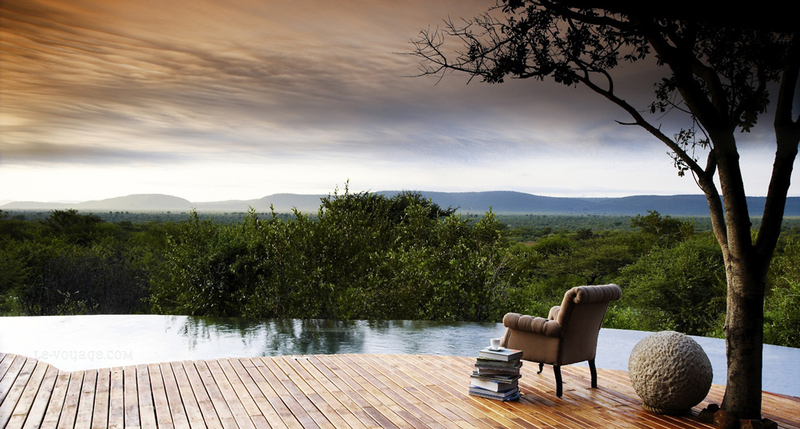 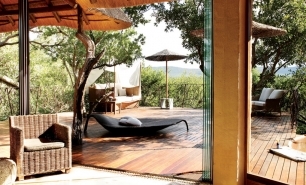 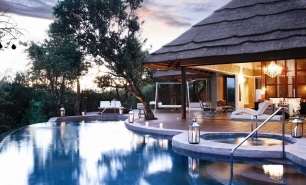 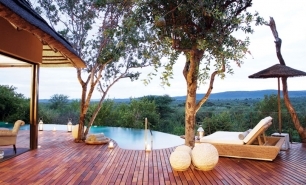 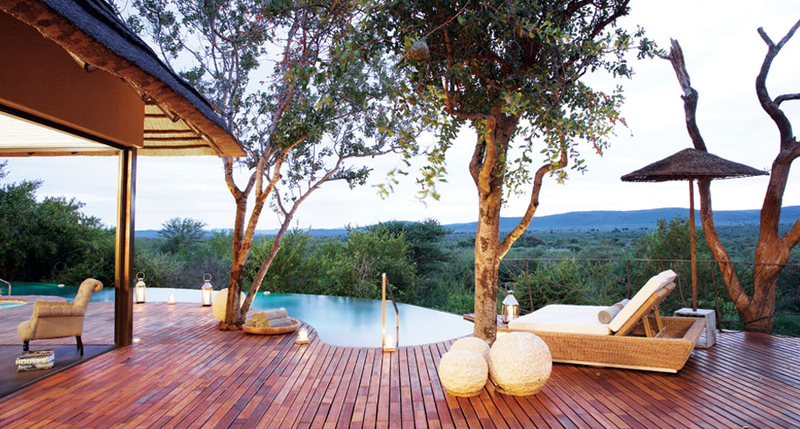 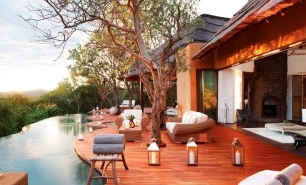 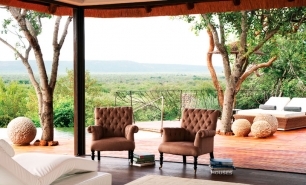 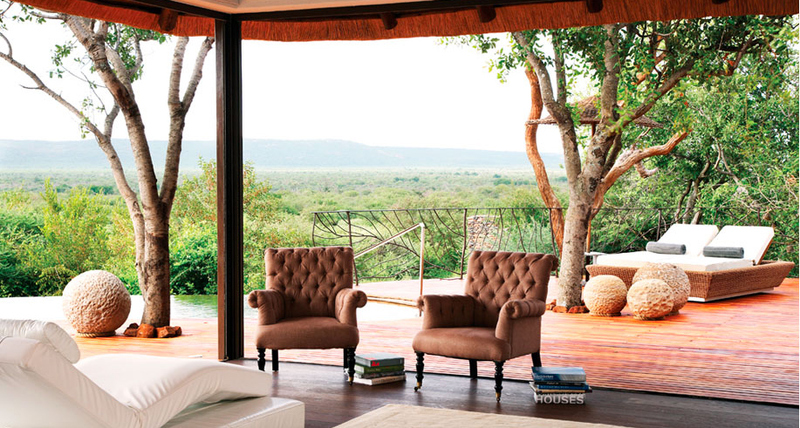 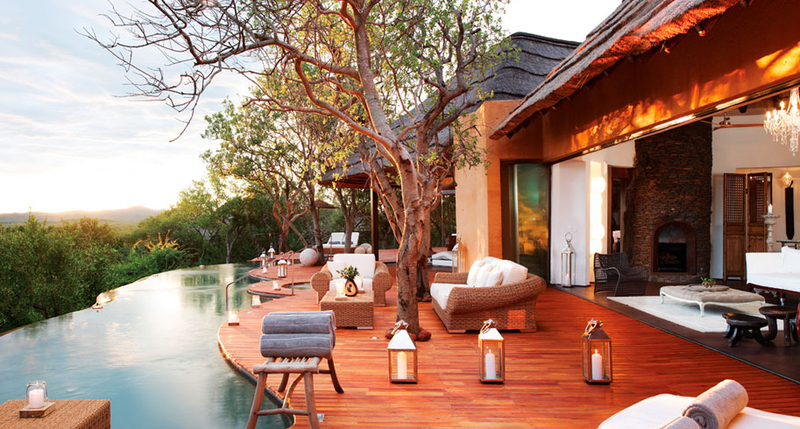 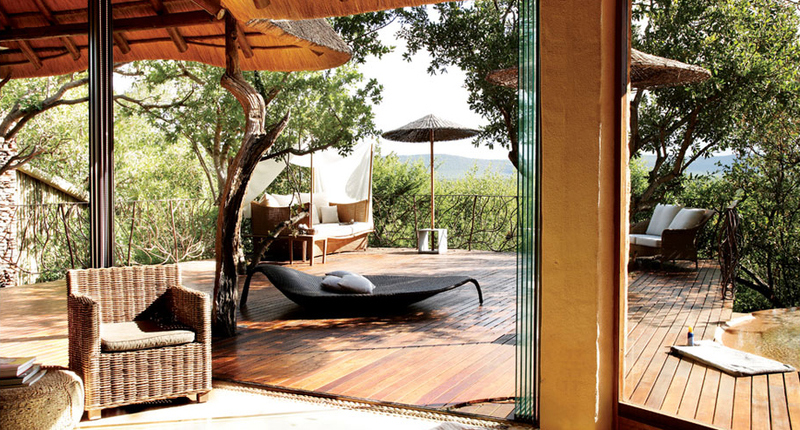 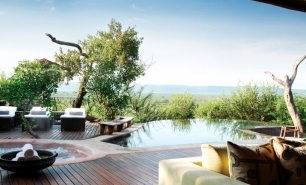 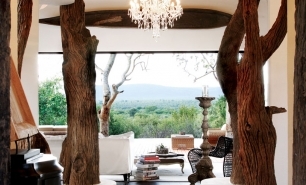 Molori Safari Lodge is an ultra-exclusive safari lodge located on a 90 hectare plot in the malaria-free 75,000 hectare Madikwe Game Reserve, close to the border of Botswana and 400 km northwest of Johannesburg. 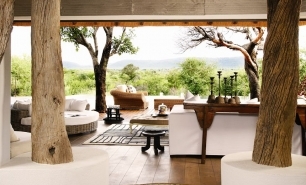 Madikwe Game Reserve is one of South Africa’s top wildlife destinations offering the chance to see a variety of game including Africa’s ‘big five’. 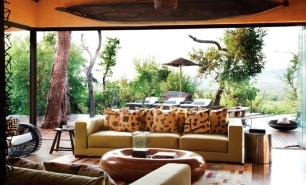 The lodge’s guests have included politicians, statesmen, and celebrities including, to name but a few, Nelson Mandela, Nicholas Cage, and Kate Moss. 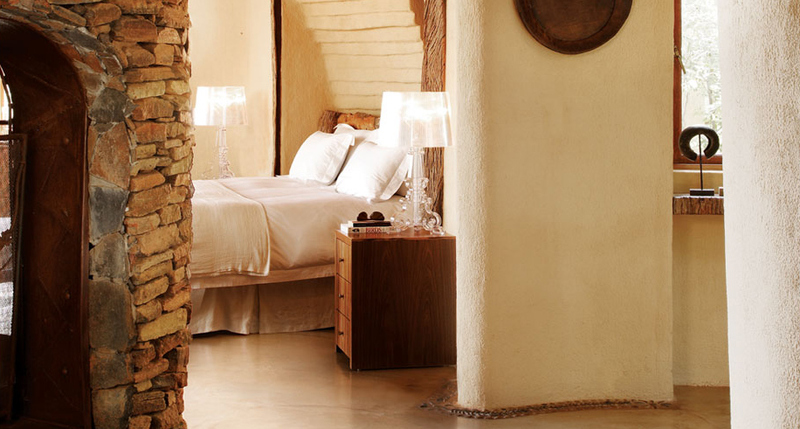 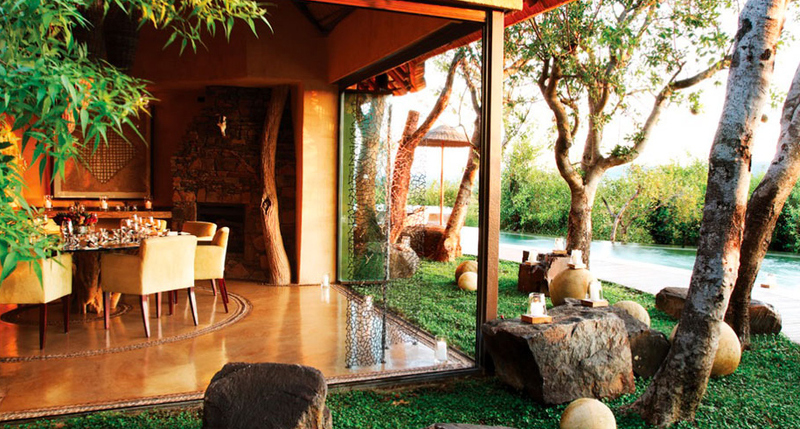 The stone, thatch, and wood built lodge consists of a shared communal area and 5 individually named suites. 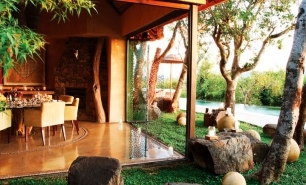 The Lodge also houses a restaurant, pool, viewing and dining decks, bar, wine cellar, spa, steam room, and a hot tub. 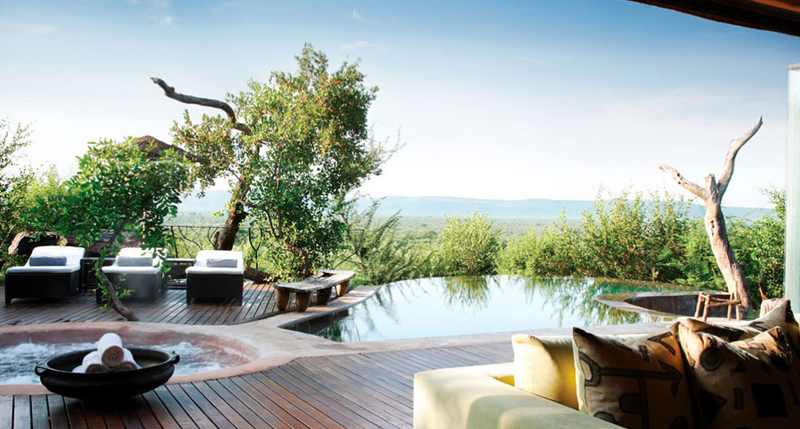 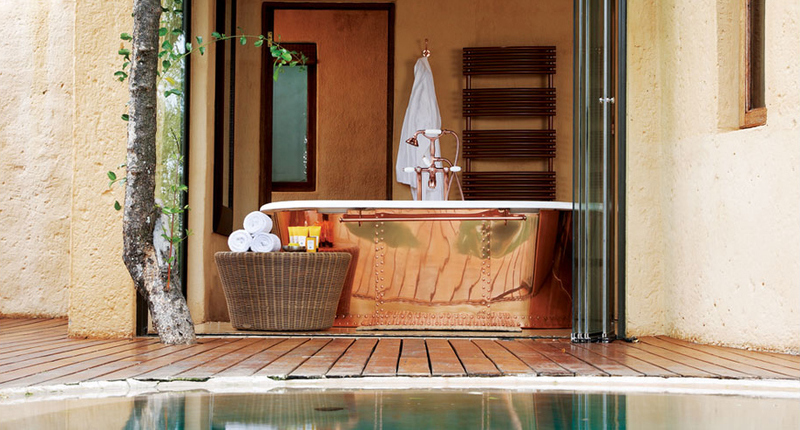 All suites have their own infinity swimming pools and terraces. 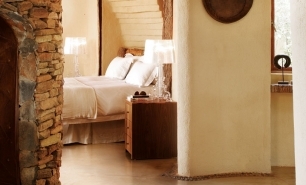 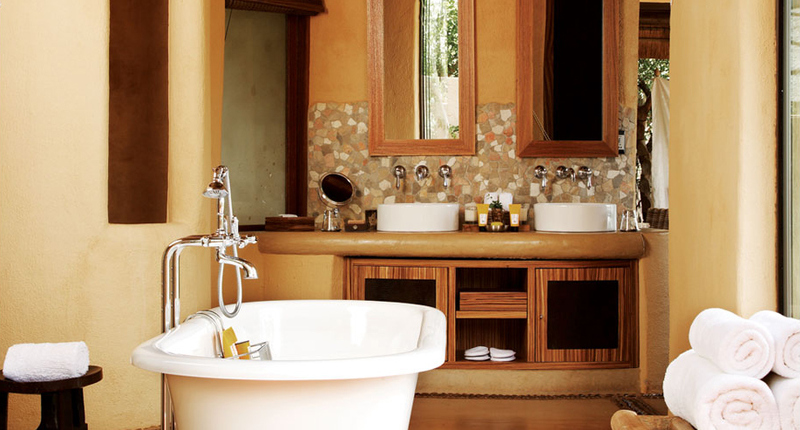 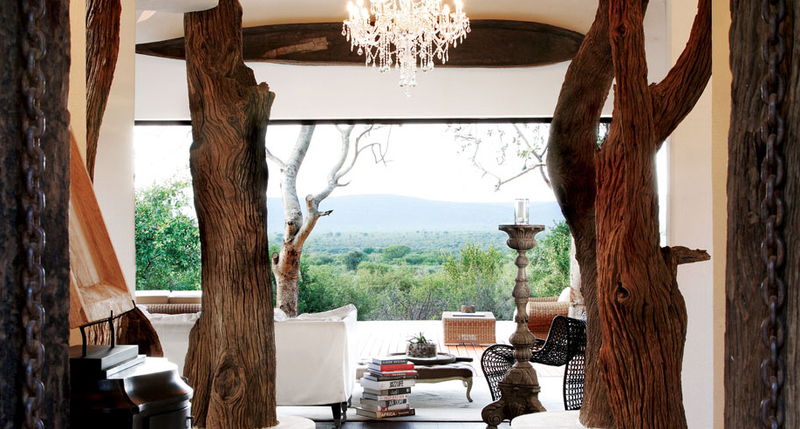 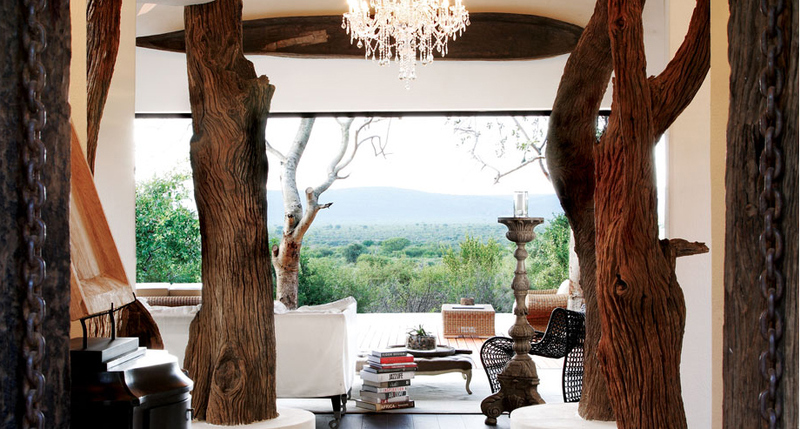 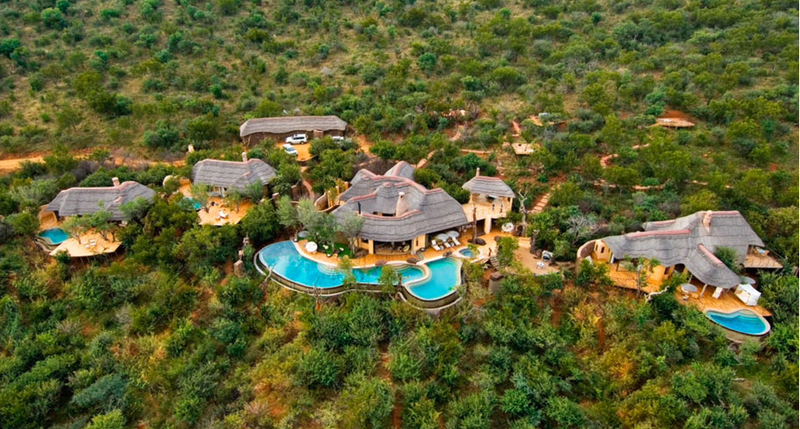 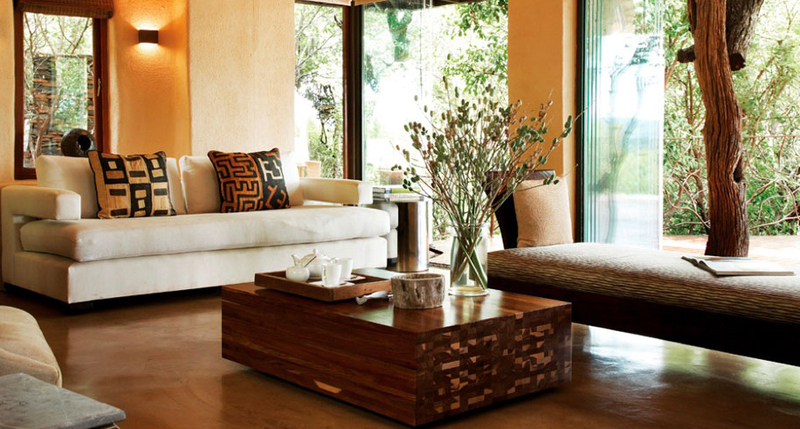 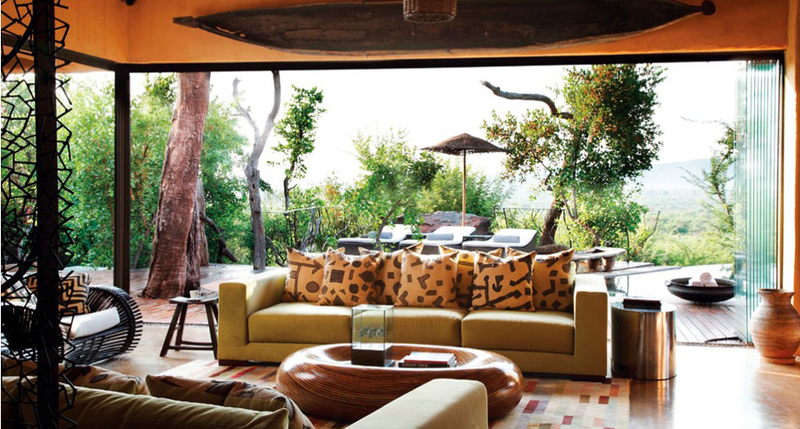 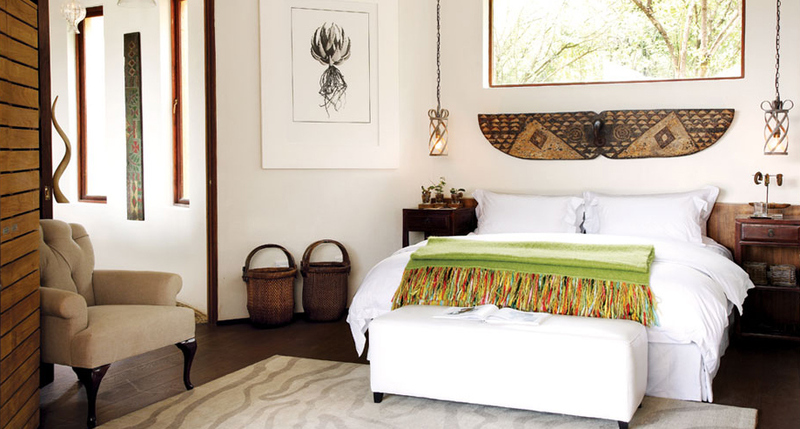 The individually named suites are: Metsi, Molelo, Lesedi, Ngwedi, and Sepheri. 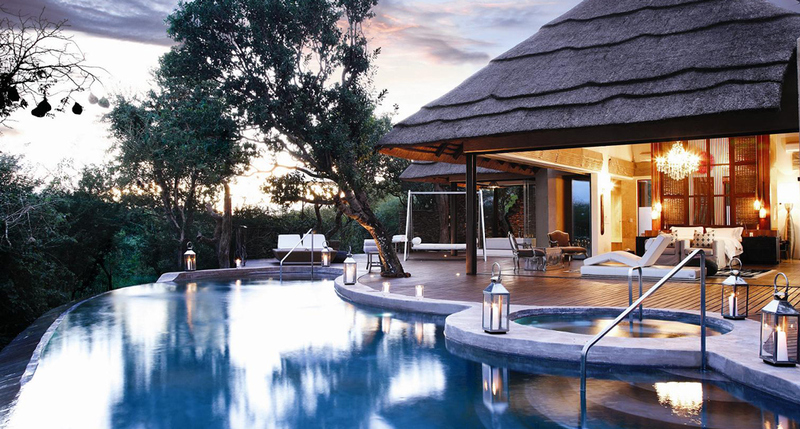 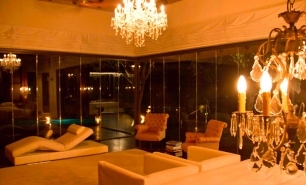 Metsi (593sqm) and Molelo (619sqm) serve as presidential suites, with Metsi consisting of a lounge, dining room, library, office, a separate bathroom, private deck, and an infinity pool. 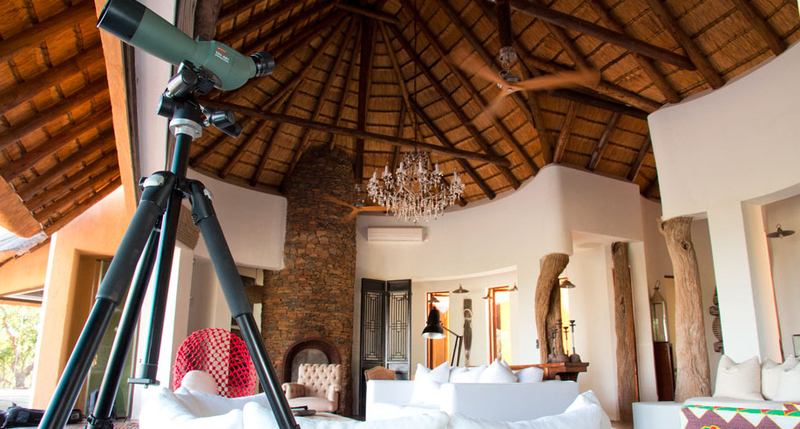 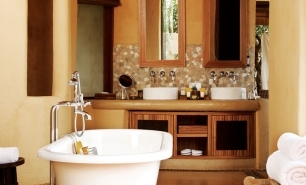 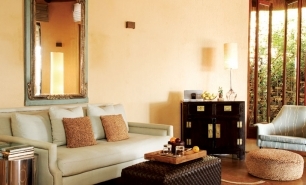 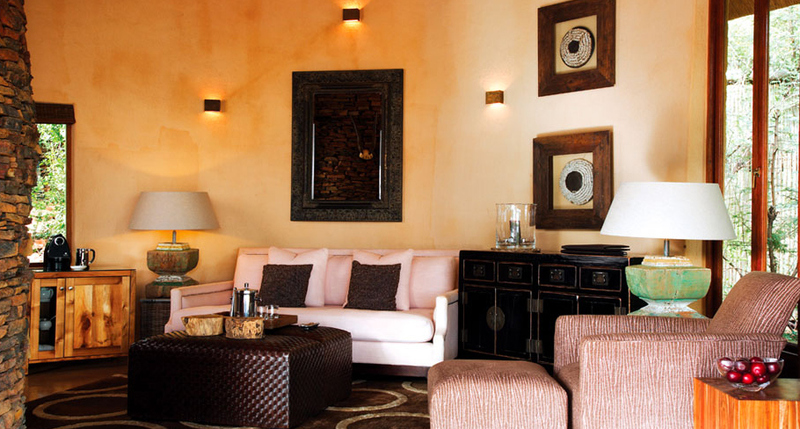 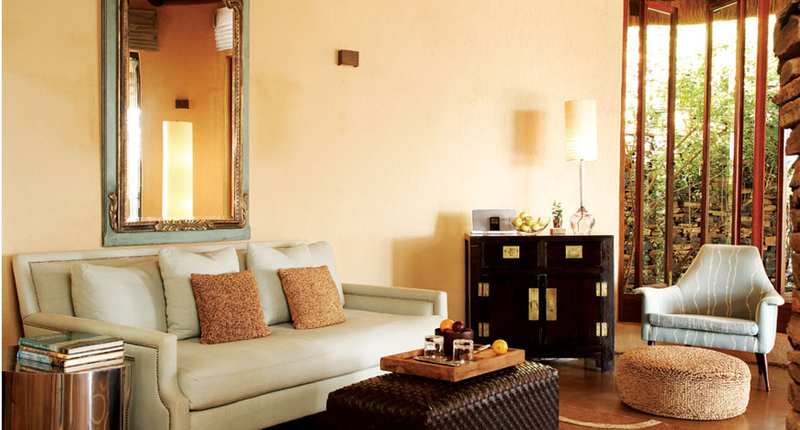 The two-bedroom Molelo suite has similar amenities and the other three suites, though slightly smaller (232sqm – 315sqm), are equally beautiful and are equipped with similar facilities. 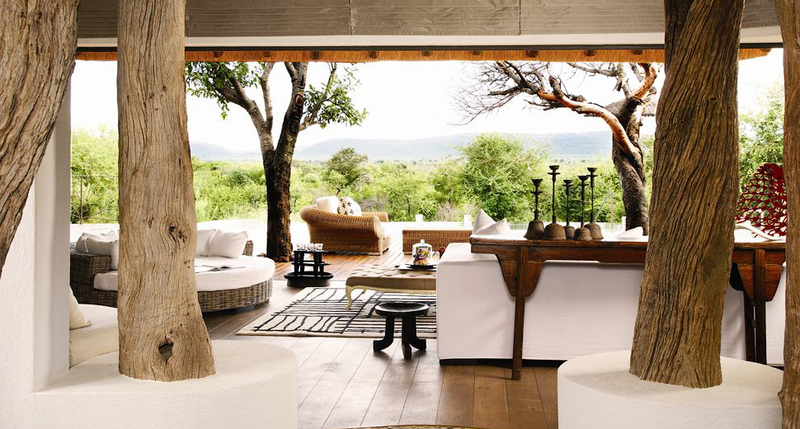 The food at Molori Safari Lodge is excellent. 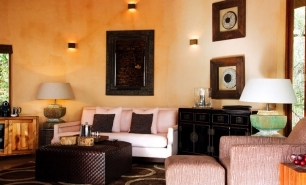 The menu is prepared by world renowned chefs and includes New African cuisine that takes inspiration from Western European cuisine and adds traditional African recipes and produce. 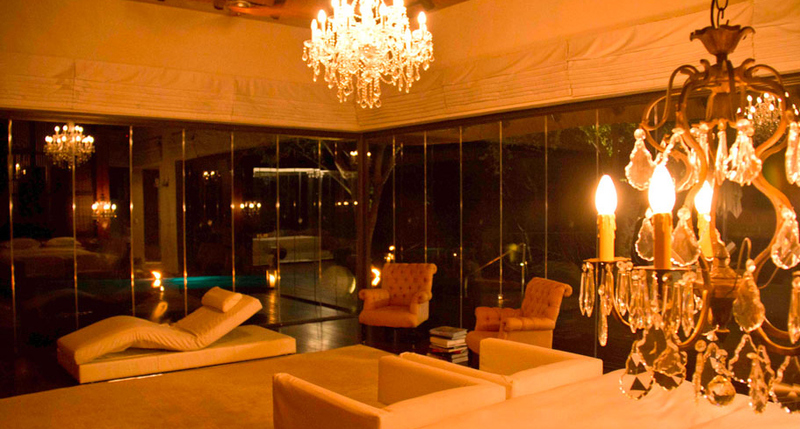 The chef can also prepare dishes based on individual guest’s orders and personal preferences. 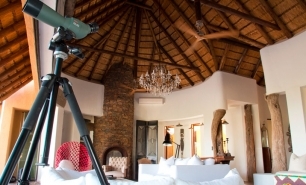 1 hr 30 minutes from Johannesburg Airport (JCT) by light aircraft transfer to Madikwe's private airstrip, 4 hrs 30 minutes (270km) from Johannesburg; 60km (1 hr 30 minutes) from Gaborone International Airport (GBE) in Botswana.